Billie Breslin has traveled far from her home in California to take a job at Delicious!, New York's most iconic food magazine. Away from her family, particularly her older sister, Genie, Billie feels like a fish out of water—until she is welcomed by the magazine's colorful staff. She is also seduced by the vibrant downtown food scene, especially by Fontanari's, the famous Italian food shop where she works on weekends. Then Delicious! is abruptly shut down, but Billie agrees to stay on in the empty office, maintaining the hotline for reader complaints in order to pay her bills. To Billie's surprise, the lonely job becomes the portal to a miraculous discovery. 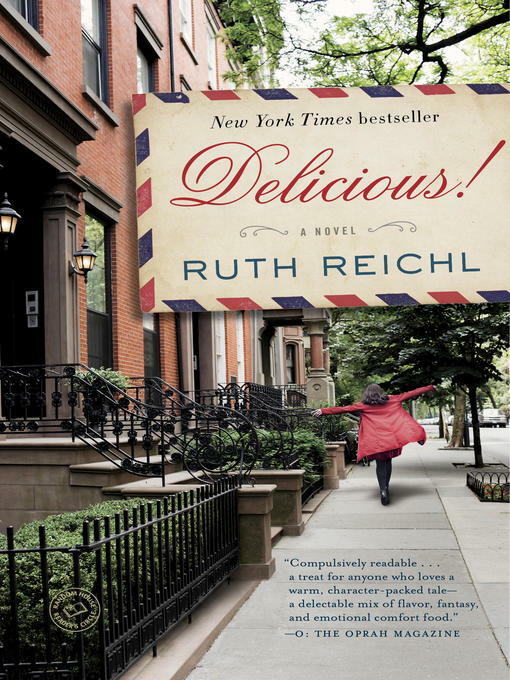 In a hidden room in the magazine's library, Billie finds a cache of letters written during World War II by Lulu Swan, a plucky twelve-year-old, to the legendary chef James Beard. Lulu's letters provide Billie with a richer understanding of history, and a feeling of deep connection to the young writer whose courage in the face of hardship inspires Billie to comes to terms with her fears, her big sister and her ability to open her heart to love.